With our In-House Design Services, our goal is to make the process of choosing a house plan, modifying an existing plan, or drawing plans from scratch a comfortable and enjoyable experience. Initial consultations are free of charge, and during design we charge either hourly rates or per square foot. Do you struggle to visualize how your home will truly look based off of drawings alone? We've invested in cutting-edge architectural home design software that allows our clients to walk through their homes and place furniture with out ever driving a nail. Our 3D RENDERINGS and elevations make this possible. Contact us to learn more. 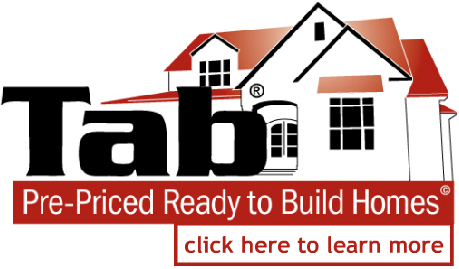 Our Pre-Priced Ready To Build Homes give you a base price that you can use as a starting point. All they need is a lot that is ready for a home. You have the freedom to add as many or few upgrades to the home as you would like - it's all down to your personal preference. If none of these particular plans suit you just right, we can modify them to satisfy your specific needs or help you find another plan that will. 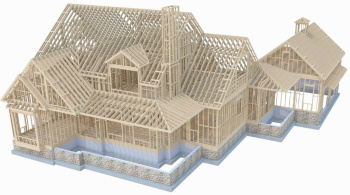 We can also help you acquire a site plan from survey, as well as engineered foundation and framing detials. Here are some great places to start. 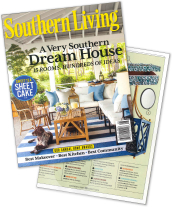 We are privelidged to be one of only 75 members of the Southern Living Custom Builder Program in the country. If we build your Southern Living House Plan, your house plans are free. That's a savings of up to $3000! Contact us for more information. You can fill out our Getting Started Form to give us an understanding of the home you wish to build. Follow the link and click through our form to start the process to your dream home today!